IndiGo today said it was not in "talks" with any airline including Qatar Airways for a stake sale, a month after the gulf carrier's chief executive Akbar Al Baker expressed his desire to invest in the Indian company. "Its a decision not happening at my level.. We're not in talks with anyone," IndiGo President Aditya Ghosh told reporters on the sidelines of an event here. Currently INDIGO need not feel the need to sell stake....where did this come about. In a bid to further expand its network, IndiGo has recently announced the introduction of new flights connecting Delhi, Mumbai, Jaipur and Srinagar. Effective February 17, the airline will launch its new daily flights on multiple routes. The new schedule sees the introduction of the low-cost carrier’s 16th daily non-stop flight between Delhi and Mumbai, second daily non-stop flight between Delhi and Jaipur, and third daily non-stop flight between Mumbai and Jaipur. Additionally, the airline will now also connect Mumbai to Srinagar, with the launch of its first daily non-stop flight and second daily non-stop flight from Srinagar to Mumbai. IndiGo has also selected the full suite of Rockwell Collins avionics sensors, including the ADF-900 automatic direction finder, DME-2100 distance measuring equipment and other equipment, Rockwell Collins said in a statement. 6E launches 2 new aircraft rotations - one each from 10th March and 17th March. CCU GOI is first direct connection between the 2 airports. On Tuesday IndiGo launched its revamped website with new functions and features, to make the customer interaction smoother and hassle-free. The changes in website design will also enable the airline to increase web bookings and reduce productivity bonuses. The new look website allows passengers option to book multi leg journeys and offers lowest fare details on home page, seven day fare display, monthly fare calendar, IndiGo said. Interesting...and we thought that AI, which has had that `feature' for ages, was a bane, especially for indirect routings. And if 6E got this feedback from the AI call centre (managed by Interglobe in those days) why didn't they implement it earlier? Qatar Airways CEO Akbar Al Baker said it may invest in another well-run airline at some point (Live Mint/Reuters, 04-Mar-2015). He explained: “We will look at other acquisitions of airlines but we look at airlines that don’t take the resources of Qatar, or attention of Qatar management, to fix issues. We will always go after goldsmiths, not scrap dealers.” On potential investment in the Indian domestic market, Mr Al Baker said: “I think domestic airlines in India are inefficiently run. The only one efficiently run is IndiGo. If we have the opportunity to acquire a stake in IndiGo we shall be very pleased to do so". India's InterGlobe Aviation Ltd, which operates the country's biggest airline IndiGo, on Tuesday filed a draft prospectus for an initial public offering to list on the domestic stock market. InterGlobe Aviation said in a statement the initial public offering would include fresh equity of up to 12.7 billion rupees ($199.64 million) and the sale of up to 30.15 million shares by some of its shareholders. Banking sources told Reuters earlier on Tuesday the listing is expected to raise around $400 million in total. IndiGo via its official Facebook account stated (06-Jul-2014) 11% of its pilots are women. This equates to 168 of the carrier’s 1448 pilots. Indian carrier IndiGo on 10JUL15 has launched new frequency on selected service from Delhi, including 5th daily nonstop service to Goa, and 3rd daily to Raipur. Planned operational schedule for the new flight as follow. IndiGo is in talks with GVK for exclusive rights to a terminal in GVK Chhatrapati Shivaji International Airport in Mumbai, reported ET Now. "IndiGo wants the Mumbai's Santacruz terminal to itself," the channel said. According to ET Now, IndiGo will have to pay a premium for these exclusive rights. The channel went on to add that GVK is yet to take a final call on IndiGo's request, but in case it agrees, GVK may shift all other carriers to the T2 terminal. Only Airlines operating to International & domestic sectors should move to T2, the rest should stay at the existing domestic terminal...also the bay availability situation at the International Apron will mean a long drive to board. Qatar Airways has confirmed that the company is in talks with domestic carrier IndiGo for a stake sale. The Airline, in a statement, said, "Qatar Airways confirms that the only airline it is talking to is the Indian carrier Indigo." IndiGo, till recently, has denied any talks with the Doha-based airline. Qatar Airways prolonged courting of India’s biggest and most successful airline, IndiGo, all but came to an halt on Wednesday with the Indian carrier denying it is talks to sell a stake to the Doha-based airline. Qatar Airways has being publicly flirting with IndiGo for some time with its Chief Executive Officer, Akbar Al Baker, often telling reporters, most recently in May, he is interested in buying as much as 49 per cent of the Indian low cost airline. But IndiGo appeared to put an end to the flirtations on Wednesday releasing a statement that said it is not in talks to sell a stake to Qatar Airways. “News reports about any possibility of Qatar Airways acquiring a stake in IndiGo are completely baseless. We wish to confirm that there is no discussion, leave alone negotiation about any potential equity or other finance investment by Qatar Airways in IndiGo,” the Indian airline said in an emailed statement. The comments came a day after Qatar Airways released its own statement denying media reports that it was in talks to buy a commercial stake in another Indian airline, Gurgaon-based SpiceJet. “Qatar Airways confirms that the only airline it is interested in is the Indian carrier Indigo,” the airline said in statement on its website on Tuesday. Qatar Airways declined to comment on Wednesday on IndiGo's statement telling Gulf News the airline had nothing to add beyond Tuesday’s statement. Al Baker has in past highlighted his admiration of IndiGo telling audiences that he is only interested in successful like Qatar Airways, seemingly including IndiGo in this category. A possible stake purchase in any Indian carrier would give Qatar Airways an added boost in the highly profitable Indian market. 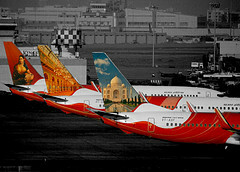 It would also give the Doha-based airline an added edge in the fierce Gulf-Indian market against regional competitors Emirates, which first sealed deals to fly to India eight years before Qatar Airways launched, and younger Abu Dhabi-based Etihad Airways, which took an equity stake in India’s Jet Airways in 2013. "The reality is that Qatar [Airways] sees IndiGo as the best managed and most financially successful of the Indian low cost carriers. If an opportunity did come up to invest, they have laid down a marker to indicate that they would be willing to do so," John Strickland, Director of UK-based aviation advisory JLS Consulting, told Gulf News by email. But Qatar Airways’ attempts to woo IndiGo appear to have been somewhat fruitful. The Indian airline did include in Wednesday's statement that it is in “preliminary discussions with Qatar Airways to explore potential marketing arrangements based on mutual interests.” No further details of the talks were stated. 10 min turnaround at GOI! The truth is always bitter, and Al Baker is speaking the truth. I am amazed how Indigo keeps adding flights to metro sectors, when there are other airlines who have not and prefer to maintain status quo. Is there that much traffic on BLR-CCU or is Indigo hoping - they have a flight departing at 5:30 and then again an hour later. Thing is for 6E CCU is that destination facilitating alot of 1 stop flights. Right from IXB PAT IXR VNS. Everything via CCU. Just like HYD gets a lions chunk of such flights. That's why they're able ton push so much along to CCU. Indigo has announced fare from Vadodara and Hyderabad to Mumbai at Rs. 945, which is the lowest I have seen, lower than many bus fare and 3 tier AC fares. I don't know how any airline in India makes money, and more new airlines keep starting and more flights are being introduced. And they have fares to many city pairs less than Rs.2000. These fares are typically for the low season and help bring new air travelers on board. Tried to online checkin for parents 48hrs before STD. Indigo is charging to select any aisle/window seat (min 200 INR & more for premium seats). Only middle seat can be picked free of cost. Punishment for online checkin! Anybody experienced it recently? Isn't that the standard modus operandi at 6E ? To the best of my knowledge, you can't get anything other than a middle seat for free, other than at the airport check in counter. What about the 25% limit of premium seats norm by DGCA?. So does that mean online checkin is not encouraged now? I suspect anybody will do online checkin (especially ones traveling with partner/family)-since no two seats adjacent seats can be selected free of cost. I am surprised. I tried it for a 6E flight on 02 Sep, booked about a week back, when it allowed me to select a window seat (24F), and send me a boarding pass as well. 6E 202 NAG-DEL. Hi reported the same in their FB page. After few hours, the seats were released (except the premium seats)! Prompt of them to respond to social media complaints, to over-ride a possible bug in the system. Even as the owner of India's biggest and most profitable carrier IndiGo readies to launch its initial public offering (IPO) on Dalal Street, the Gurgaon-based airline is embroiled in a trademark dispute over its name with Tata Motors, which sells its flagship sedans under the same brand. The airline's parent Interglobe Aviation faces an ownership title risk as Tata Motors has claimed that the carrier's use of the IndiGo name is an infringement of its trademark. India's biggest automaker by revenue forayed into sedans under the Indigo brand in 2002 while Interglobe commenced operations in August 2006. Tata Motors issued notices on the Indigo name infringement in 2005 but Interglobe subsequently registered the trademark. The matter is currently pending in the court with Tata Motors opposing Interglobe's four trade names — IndiGo, IndiGo Airways, IndiGo Airlines, and IndiGo Air. IndiGo president Aditya Ghosh stated the cost of travel is declining (Live Mint, 19-Aug-2015). He commented: "Ultimately, the cost of travel has to come down. We have to figure out ways to bring down air fares, airport charges and tax structure of jet fuel. We cannot find out solutions, keeping airports in isolation. In fact, India should look at efficient low-cost airports also. A passenger, who is catching a two-hour flight, does not need an art gallery, public space and a fancy shopping gallery at airports as he or she is keen to check-in fast and board the aircraft fast. Larger cities may need more airports. But all airports need not be fancy and glamourous." He also stated: "I think it is time to realign and redistribute the resources in order to reduce the pain of passengers. You need to allot more space to a particular airline that is handling more passengers and less space for airlines that are carrying less. And, in the meantime, we need to provide more amenities, such as more space to sit, more x-ray machines, increased number of security check-in counters and boarding gates. These may not be glamorous, but it can be consumer-friendly." pAruppu pAyasam and bisI beLe bAth, in the add-hot-water-and-wait-for-8-minutes. I tried the latter last night on 6E 202 NAG-DEL 02 Sep'15. A Kannadiga delicacy, made by a company in Chennai, and served on Indigo...Hmm...Passable. I washed this down with a cappuccino from...Nescafe. Need I say more? What happened to the CCD pre-mixes? When yesterday I wrote about IndiGo losing market share for three consecutive months (Fourth month of record load factors for Spicejet as passenger numbers continue to grow), there were questions which came at me on Why and How can this happen? Market share and load factors are just one of many parameters which denote success of an airline and the airline with best market share and highest load factors can also be loss making! "Some 30 pilots including ATR commanders and Boeing 737 first officers have left Jet Airways in the past 15 months to take up employment with IndiGo for better pay packages and work environment," sources told PTI. "This is part of the normal attrition faced by organisations across industries. In all cases of resignations, the relevant provisions of notice period are applicable," the spokesperson said. Jet Airways employs sufficient number of type-rated crew to ensure optimal use of its fleet, he added. A type rating is a regulating agency's certification of an airplane pilot to fly a certain aircraft type that requires additional training beyond the scope of the initial license and aircraft class training. Sources said the "flexible" service contracts offered by IndiGo is one of the reasons apart from the higher pay packets for the pilots quitting Jet Airways. Confirming the resignation by 32 of its pilots in the last one year, a senior Air India official said this has not affected the airline's operations in any way. "Of course, 32 pilots have quit the airline in the last one year to join other carriers, including IndiGo and some Gulf airlines, but this has not impacted Air India operations. Requirement-based hiring of pilots is an on-going process," the official said. The poaching of staff "results in crippling shortage of trained manpower for airlines...We can ask the DGCA (Directorate General of Civil Aviation) to frame guidelines to address this matter," Sharma had said. Indian low-cost carrier IndiGo from 01NOV15 introduces 2 new domestic service, connecting Udaipur with Delhi and Mumbai. 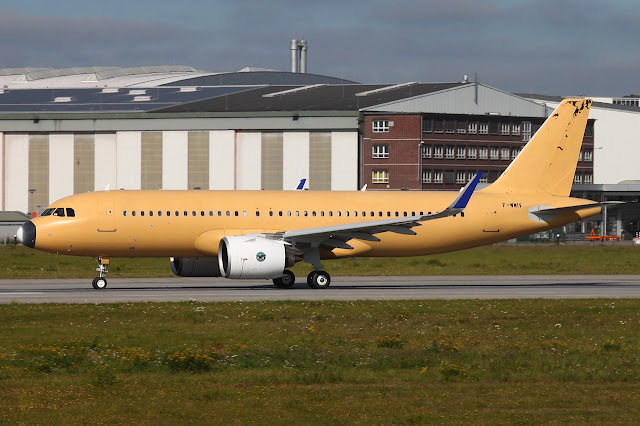 Airbus A320 aircraft is scheduled to operate both routes twice a day.